It’s that most special time of the year again! Awards season! Year-end list season! For the next couple of magical months, you, dear reader, will be regaled with just about everyone’s opinion on the best whatever of 2018. Now, it’s been a horrific year to be sure, but there was still so much great art and beauty created. And to that end, it’s been a banner year for books! So why not begin your year-end round up right here with good ol’ Keaton? For 2018, I’ve put together a combination top 10 list/award show for y’all. It seems the best possible way for me to present this stellar group of books. And so without further ado, I give you a brief and in no way arbitrary take on the best reads of the year. 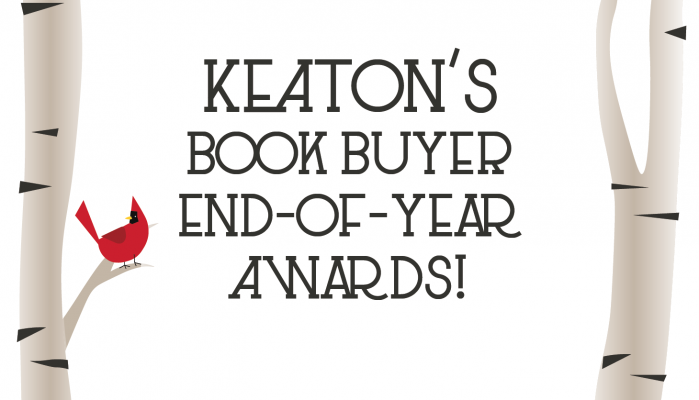 I give you –– THE BRAZOS BUYER’S BOOK AWARDS!! !